Microsoft Corp. last week announced a deal to promote the use of Novell Inc.’s SUSE Linux operating system alongside Windows in mixed server environments — a move that came just a week after nemesis Oracle Corp. significantly tightened its embrace of Linux. Microsoft isn’t taking as big a leap into Linux as Oracle, which plans to clone Red Hat Inc.’s market-leading version of the open-source operating system and offer technical support to users at what it described as discount prices relative to what Red Hat charges. 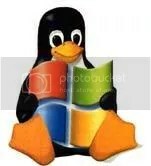 Under its deal with Novell, Microsoft doesn’t plan to sell or support SUSE Linux. Instead, it will recommend the software to Windows users who want to add Linux systems. It will also purchase from Novell and then distribute about 70,000 coupons annually that entitle users to a year’s worth of maintenance and support on SUSE Linux. The two vendors said they will do joint development work in several technology areas, including virtualization of Windows on SUSE Linux and vice versa.